How to overcome the common problem of structural pillars or columns when designing a data centre space? Independent IT service and business solution specialist SDC (Part of the Sovereign Business Integration Group) encountered this challenge when developing their data centre in Hertfordshire. Rittal offered the unique approach of incorporating the columns into the cabinets and cooling system. Fully sealing columns into cabinets and aisle containment systems can deliver improved efficiency in areas that are not conducive to efficient airflow, as well as utilising the maximum floor space available. 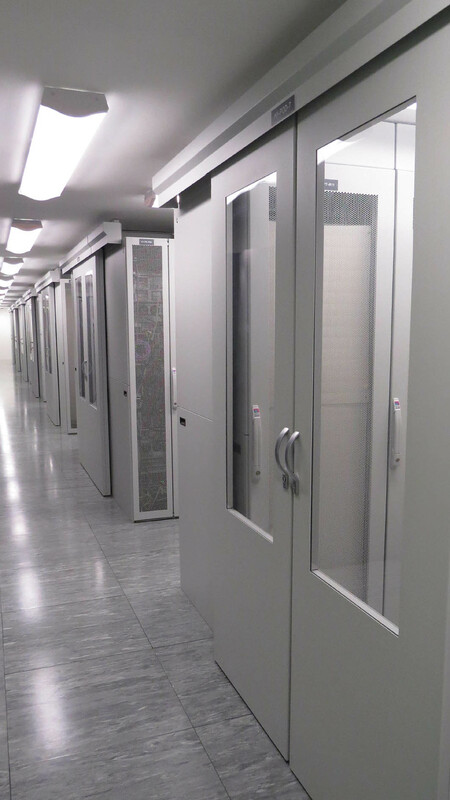 Completing phase two of the ground floor data hall, comprising of a further 80 Rittal TS IT Cabinets and 4 Cold Aisle pods, Rittal were able to solve the problem through a bespoke cold aisle pelmet based system. Cable management was used to good effect within the racks. Cold aisle containment technology from Rittal maintains constant temperatures and precise humidity levels, ensuring all key functions are maintained. Distribute electricity efficiently with the new Power Distribution Unit from Rittal. Cost-effective and safe, with measurement and monitoring functionality. Rittal’s ‘Blue e’ cooling units are usually found controlling the temperature within enclosures in workshops or on shop floors in the industrial sector where noise level is largely irrelevant as they cannot be heard above other equipment in these noisy environments. In situations such as laboratories, offices or other more peaceful areas where cooling is required, Rittal’s TopTherm ‘Blue e’ roof-mounted cooling unit range successfully provide cooling where excessive noise would be an irritant to personnel working close to an enclosure. With nominal outputs of 1.1 kW, Rittal roof-mounted cooling units for office applications offer viable solutions when it may have been assumed they would simply be too noisy. Rittal’s ‘Blue e’ cooling units benefit from the intelligent and targeted use of energy, electronically commutated (EC) fan technology and are proven to achieve energy savings of up to 45%. 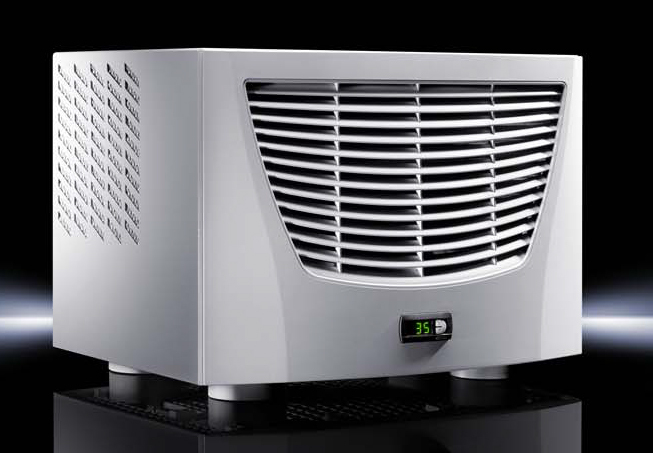 Nano-coated condenser coils negate the need for filters and an integrated electric condensate evaporator maintains an efficient supply of cooling for longer periods of time extending maintenance intervals. Interesting article from the Electrical Engineering Portal. Solar energy is free, but what does it really cost? | EEP.